Will EU adhere to its “Common Position” for selling arms to Saudi Arabia? 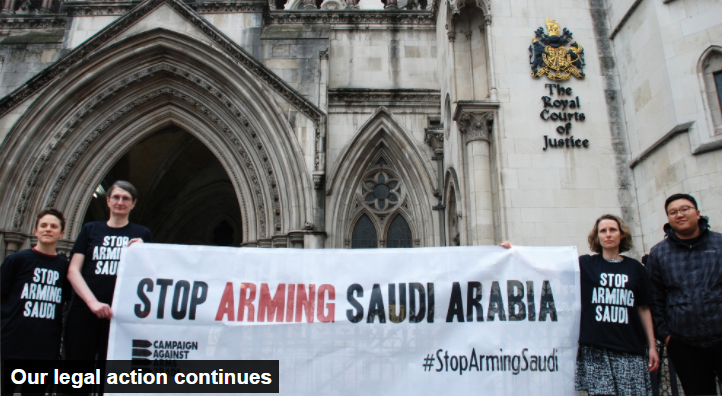 SHAFAQNA- Public opinion across the EU takes a decisive hard line against arming human rights-abusing regimes, yet weapons manufactured in Europe continue to be used in conflict and atrocities by Saudi Arabia and others. Now, the European Parliament announced it had adopted a resolution that stresses the need for an EU-wide arms embargo on Saudi Arabia. After The European Parliament, France and Germany’s leaders have said they want a “coordinated” European position for sanctions on arms sales to Saudi Arabia. Before the Khashoggi’s case, the biggest humanitarian crisis in the world; Yemen war caused EU faced with big decision on continue to sell arms to Saudi Arabia or not. Saudi journalist Jamal Khashoggi visited the Saudi Arabian consulate in Istanbul, Turkey, on Oct. 2, 2018, to pick up some documents he needed for his upcoming marriage. That day, he disappeared. 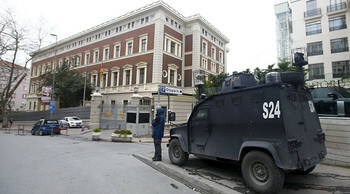 The ensuing international crisis has pitted Western countries against their traditional Middle Eastern ally, Saudi Arabia, and especially its charismatic young leader, crown prince Mohammed bin Salman (MbS)—who has been accused of knowing about, or even orchestrating, what is believed to be a premeditated political assassination of a government critic, qz mentioned. And yet, despite a public outcry from the leaders of most Western nations about the murder of a journalist, it appears very few countries have moved to punish Saudi Arabia, either by imposing sanctions or by putting a stop to very lucrative arms contracts. What does the arms trade from Europe to the Middle East look like ? Some of the biggest arms-trading governments in the world are in Europe. The United Kingdom, France, Germany, Spain, and Italy are all major arms exporters and the Middle East is a very large market. The Middle East has played – and will continue to do so – a massive role in the arms trade. One of the reasons is because wherever there is war and conflict there will be arms companies looking to make a profit. When arms exports are continued, it is always the result of political decisions. If we look at polling in the UK, the vast majority of people are against arms exports to human rights-abusing regimes. 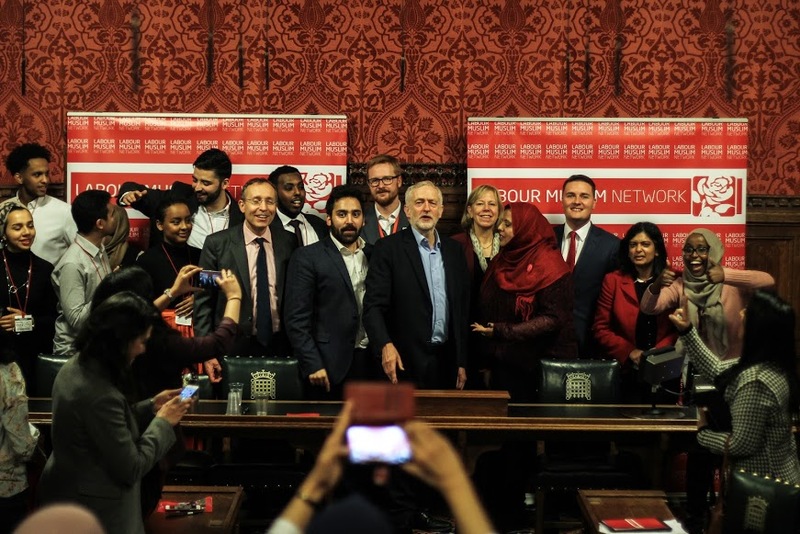 Polling done by Populus in February 2018 showed that only 6 per cent of people think that it is acceptable to sell arms to Saudi Arabia. Statistics from polling commissioned this year in France show that public attitudes there are very much the same. Whenever there are large-scale arms sales, there is generally large-scale public opposition. The challenge is making sure that public opposition informs the debate. Arms companies put a lot of money and time into lobbying and enjoy hugely disproportionate influence in the corridors of power, whether that is in Westminster in the UK or in the European Parliament in Brussels. People in Europe do not support these arms sales and that change is possible, but it will take a lot of work, Green European Journal stressed. Which countries sell arms to Saudi Arabia? Germany is the only major US ally to date to suspend all arms sales to Saudi Arabia over Khashoggi’s murder. After Germany, Austria and the European Parliament called for an end to weapons sales over the killing of Saudi journalist Jamal Khashoggi, Straits Times reported. And earlier this week, the European Parliament passed a non-binding resolution urging a European Union-wide arms embargo on Saudi Arabia in response to Khashoggi’s murder. But so far, individual EU nations have not followed suit. The leaders of Britain and France, the two largest European exporters of weapons to the Saudis, have condemned the killing, but have stopped short of suspending arms sales. In fact, French president Emmanuel Macron said Friday (Oct. 26) that he saw no link between arms sales and the assassination. “That’s pure demagoguery to say ‘we must stop arms sales,’” he said at a news conference in Slovakia. “It’s got nothing to do with Khashoggi”. Meanwhile, Canadian prime minister Justin Trudeau has brought up the possibility of suspending the federal permits that allow the export of a massive sale of large armored vehicles (LAVs) to Saudi Arabia, but has stopped short of canceling the LAV contract altogether, saying his country would incur a $1 billion penalty from the Saudis for doing so. US allies could impose a significant financial penalty on Saudi Arabia—if they chose to do so. The UK exported at least $1.4 billion worth of arms and equipment to Saudi Arabia in 2017, according to The Washington Post. 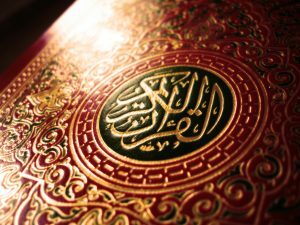 In 2017, the French government approved more than $14.7 billion of potential arms sales to the Saudis, and Germany authorized exports worth about $290 million. Spain, meanwhile, is trying to go ahead with the sale of 400 bombs in order to protect a Saudi contract with a shipyard in the Andalusia region that would create 5,000 jobs. 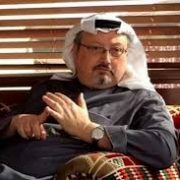 In response to last week’s revelations about journalist Jamal Kashoggi’s death in Istanbul, the European Parliament on Thursday passed a resolution urging all European nations to partake in an arms embargo against the Kingdom of Saudi Arabia until there can be an “International impartial investigation into the murder of Jamal Khashoggi”. The European Parliament passed a nonbinding resolution on Thursday condemning the killing of Khashoggi and urging a European Union-wide arms embargo on Saudi Arabia in response. The resolution came several days after Germany suspended future arms sales to Saudi Arabia until Khashoggi’s death is fully explained, vovworld reported. French President Emmanuel Macron has called for sanctions on those responsible for Khashoggi’s murder. “Sanctions must be taken on this basis and these sanctions must be coherent and complete, and be extremely concrete and proportional,” added Macron. “We agreed that when we have more clarity, and we are counting on that, when we know who was behind this then we will try to find a unified European solution or reaction from all member states of the European Union to show that we negotiate on the basis of common values,” Merkel told reporters in Istanbul. Berlin has halted arms sales to Saudi and Angela Merkel has urged allies to do the same in condemnation of what she has described as a “monstrous” killing inside the Saudi consulate in Istanbul, theguardian told. German Chancellor Angela Merkel and French President Emmanuel Macron have agreed to find a common European Union position on arms sales to Saudi Arabia, according to Germany’s leader. Theresa May is under fresh pressure to suspend UK arms sales to Saudi Arabia over the murder of the journalist Jamal Khashoggi after the European parliament called on all EU member states to follow a lead set by Germany. The vote does not compel EU member states to act but it does increase pressure on Riyadh, in the wake of criticism from the UN and growing international alarm over civilian casualties in Yemen. Earlier this month, just after Khashoggi’s disappearance, the EU Parliament passed a similar resolution, declaring that it would stop arms sales to all parties involved in the ongoing Yemeni Civil War. The resolution urges all nations to stop arms deals to Saudi Arabia, although the US continues selling weapons to the Kingdom in a move the UN High Commissioner for Human Rights condemns, jurist noiced. The UN has described Yemen as the world’s largest humanitarian crisis: in September it agreed to send war crimes investigators to the devastated country to examine alleged human-rights violations committed by both sides during the two-and-a-half year civil war. After Saudi Arabia launched a bombing campaign against the Houthi rebels in March 2015, at least 10,000 people were killed in the first 22 months of the conflict, the UN humanitarian office said, almost double other estimates. Bodil Valero, Swedish Green party MEP, said the EU could not continue to sell arms to Saudi Arabia when faced with “the biggest humanitarian crisis in the world”. “We have our common European values, we have a common position [on arms sales], we shouldn’t sell arms to a country that doesn’t respect humanitarian law or human rights,” said Valero, who drafts the parliament’s annual arms control resolution. The Common Position is the mutually agreed framework through which European arms exports are meant to be regulated, which has sometimes led to specific embargoes. Now in theory, it is supposed to prevent the sale of arms and weapons to countries or conflicts where there is a risk of weapons being used to violate international humanitarian law. But that’s being put to the test now in Yemen, where Saudi forces are widely accused of some of the most serious violations of international humanitarian law. https://en.shafaqna.com/wp-content/uploads/2018/10/Screenshot-424.png 396 722 asadian https://en.shafaqna.com/wp-content/uploads/2018/10/new-logo-s-en-fine.png asadian2018-10-30 09:37:182018-11-01 13:20:11Will EU adhere to its "Common Position" for selling arms to Saudi Arabia?